UFC 226 is the axis upon which the mixed martial arts world spins during the weekend of July 6-8, as the fate of two Ultimate Fighting Championship titles will hang in the balance on Saturday at T-Mobile Arena in Las Vegas. UFC 226 “Miocic vs. Cormier” airs live on pay-per-view at 10 p.m. ET/7 p.m. PT, with Fox Sports 1 (8 p.m. ET/5 p.m. PT) and UFC Fight Pass (6:30 p.m. ET/3:30 p.m. PT) splitting the seven-fight undercard. 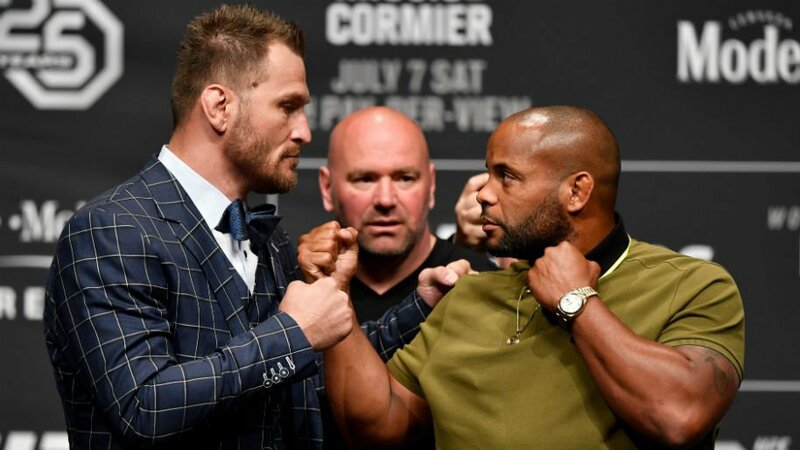 The main event sees heavyweight champion Stipe Miocic put his belt on the line against light heavyweight champion Daniel Cormier, as titleholders from different weight classes meet for just the second time in UFC history. 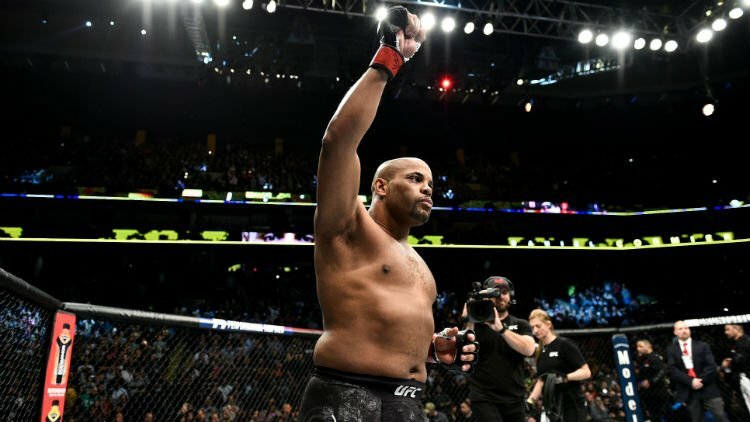 With a victory, Cormier can join Conor McGregor as the second UFC fighter ever to hold championships in two divisions simultaneously. Miocic, 35, enters the match on a six-fight winning streak. In the co-headliner, Max Holloway risks his featherweight title against the undefeated Brian Ortega. One of the sport’s pound-for-pound greats, the 26-year-old Holloway has won 12 fights in a row. Ortega, 27, cemented his place as the No. 1 contender at 145 pounds with a first-round knockout of Frankie Edgar at UFC 222 on March 3. Other UFC 226 bouts to keep an eye on: Francis Ngannou vs. Derrick Lewis, Michael Chiesa vs. Anthony Pettis, Paulo Henrique Costa vs. Uriah Hall and Raphael Assuncao vs. Rob Font. For those who desire an appetizer, the Ultimate Fighting Championship offers The Ultimate Fighter 27 Finale on Friday at the Palms Casino Resort in Las Vegas. Airing live on Fox Sports 1 at 10 p.m. ET/7 p.m. PT, the event features a middleweight clash between Brad Tavares and the unbeaten Israel Adesanya. Tavares has the wind of a four-fight winning streak in his sails and has not tasted defeat in more than three years. The 28-year-old Adesanya has won all 13 of his professional mixed martial arts fights, 12 of them by knockout or technical knockout. Peering into the not-too-distant future, Season 2 of Dana White’s Tuesday Night Contender Series on July 10 returns with its fourth card of the summer after a one-week hiatus. The five-fight event airs on UFC Fight Pass at 8 p.m. ET/5 p.m. PT and features a lightweight battle between Joey Gomez and reigning Legacy Fighting Alliance champion Kevin Aguilar. All 10 competitors on the card will be vying for a UFC contract.